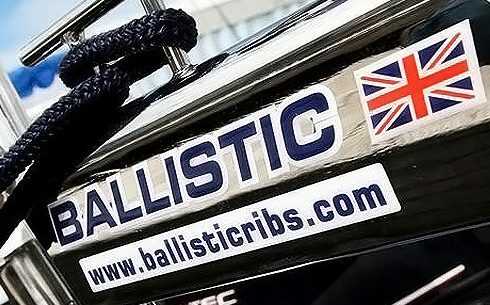 British designed, Ballistic RIBs are renowned for their high quality manufacture, strength and durability. With exceptional attention to detail for your comfort and safety. Stable and safe at speed and at rest, Ballistic RIBs give the driest ride too. Our unique deep V-hull design cuts through waves and the reverse scallop chines deflect the spray. All our RIBs come with a comprehensive, no-nonsense five year guarantee. Our experienced team are on hand to offer you the best advice to make sure you have the best time afloat. 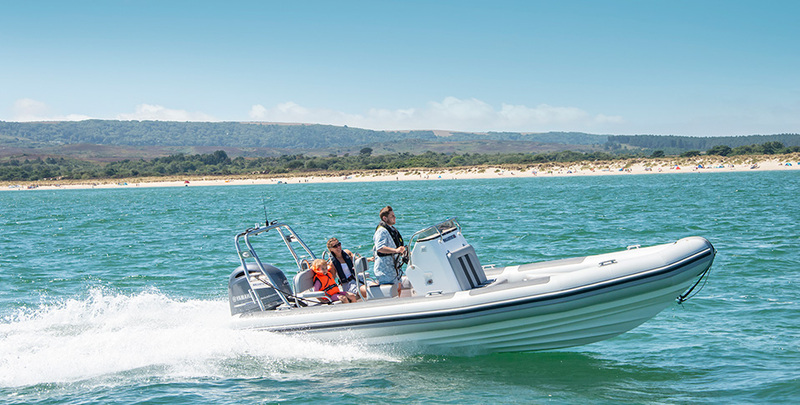 From the outset, Ballistic RIBS have been developed for superior speed and high load-carrying capability. Large, low Hypalon tubes deflect water and offer great all-round stability. 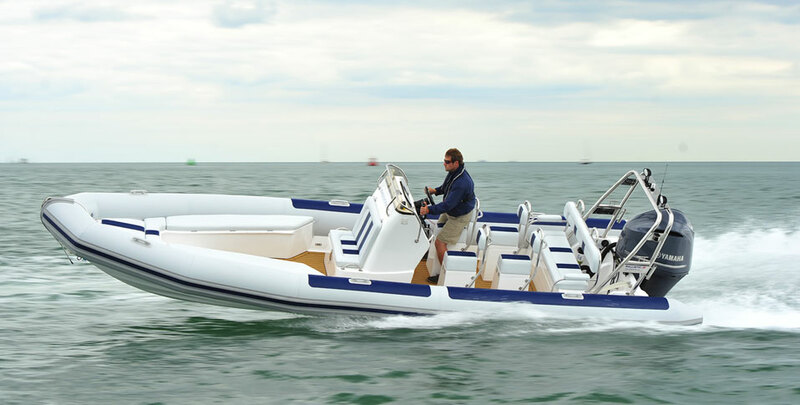 The clean open layouts enable safe and easy movement around the boat. 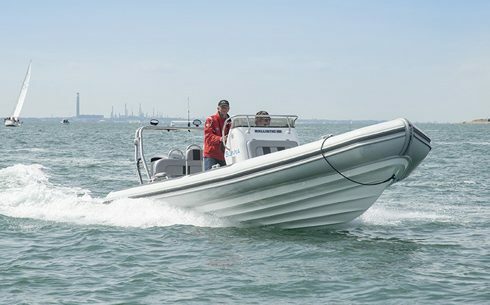 Yamaha outboard engines are renowned for their durability, which is why they are chosen by the RNLI and police force. You can always be sure that your Yamaha outboard will get you home. 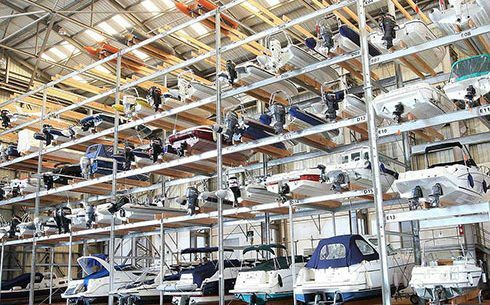 They are built to last, which improves the resale value of your boat too. Hand built by our dedicated team of experienced builders, the Ballistic’s strength and durability comes from our proprietary manufacturing process. 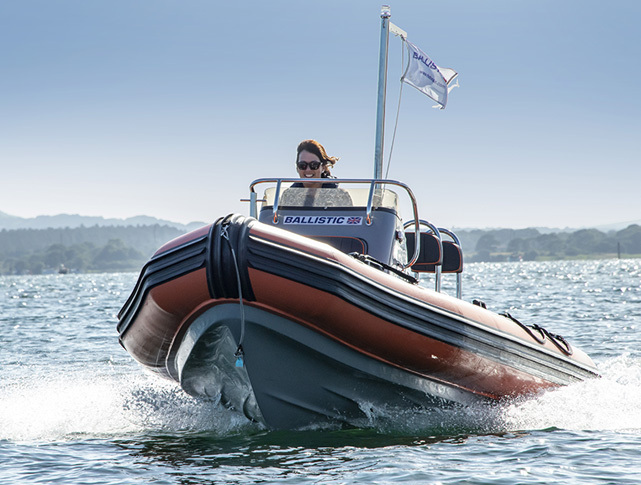 Our unique moulded construction system creates a super strong hull, resistant to flex and water ingress. Buying a RIB for the first time. Or need some ideas to replace your boat. Everything you need to know about buying a RIB (but were too afraid to ask!) 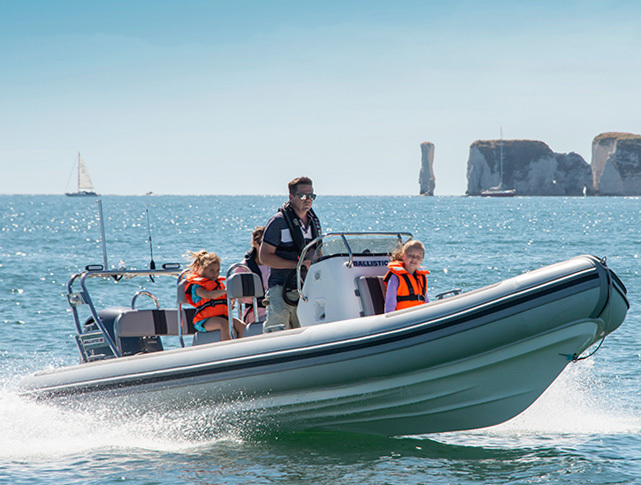 is in our Our Free RIB Buyers Guide. Sign up for a copy now. And don’t forget our Free Buyers Checklist too. 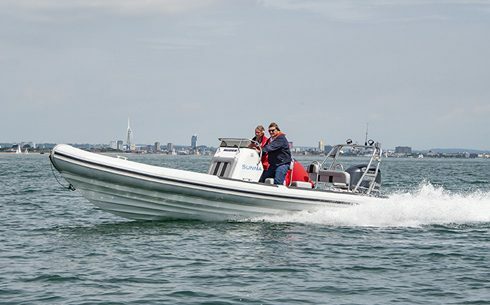 Find out how a Ballistic RIB handles for yourself at high and low speeds in the waters of Portsmouth Harbour and the Solent. 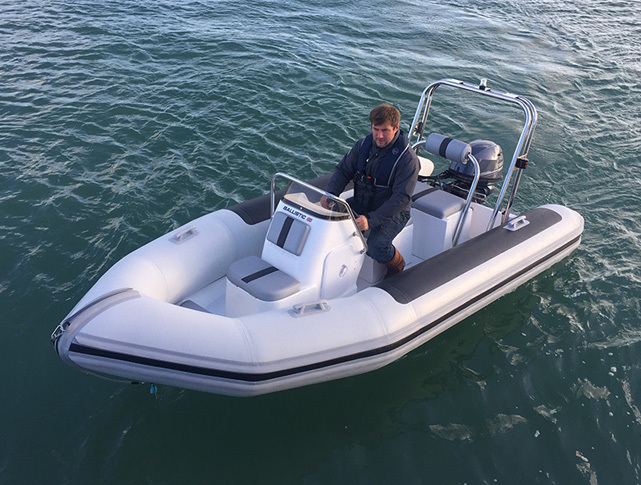 Everyone who comes to try a Ballistic RIB for the first time can’t believe the exceptional handling, amazing dry ride and manufacturing quality. Safety, rules of the road and preserving your boat (and others) are immensely important. 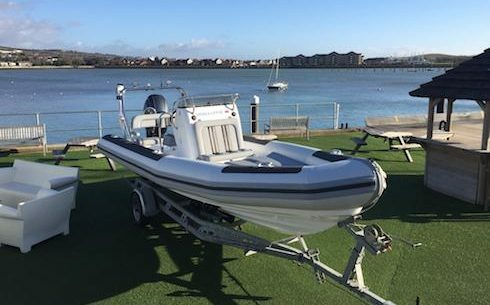 We recommend and offer RYA approved powerboat training for all levels. If you are just starting or venturing further afield, ensure you get the most enjoyment out of it. 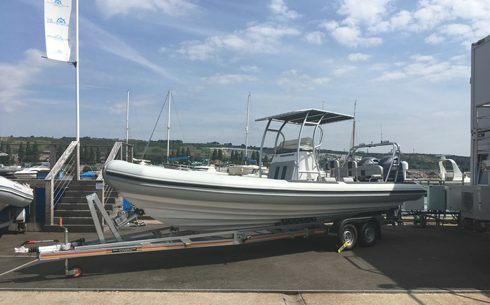 If you are planning on trailing your RIB it is important to take time to ensure you get the right trailer, lights and equipment. 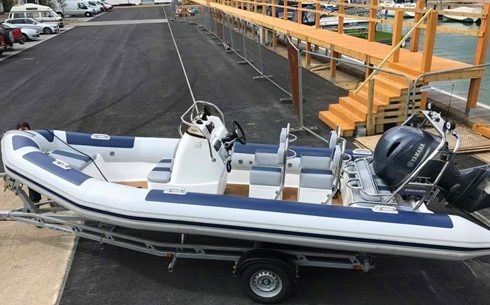 It cannot be by chance that the oldest boat in our fleet is also the one which is most used and which we have subsequently bought two more of since the delivery of our first one ten years ago. Hampshire, PO6 4PX United Kingdom. © 2019 Leisure & Commercial RIBs by Ballistic All rights reserved.